The reduction of the dimensionality is of great interest in the context of big data processing. Multidimensional scaling methods (MDS) are techniques for dimensionality reduction, where data from a high-dimensional space are mapped into a lower-dimensional space. Such methods consume relevant computational resources; therefore, intensive research has been developed to accelerate them. 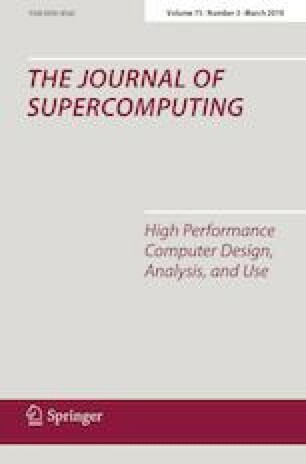 In this work, two efficient parallel versions of the well-known and precise SMACOF algorithm to solve MDS problems have been developed and evaluated on multicore and GPU. To help the user of SMACOF, we provide these parallel versions and a complementary Python code based on a heuristic approach to explore the optimal configuration of the parallel SMACOF algorithm on the available platforms in terms of energy efficiency (GFLOPs/watt). Three platforms, 64 and 12 CPU-cores and a GPU device, have been considered for the experimental evaluation. This work has been partially supported by the Spanish Ministry of Science throughout Projects TIN2015-66680 and CAPAP-H5 network TIN2014-53522, by J. Andalucía through Projects P12-TIC-301 and P11-TIC7176, by the European Regional Development Fund (ERDF), and by the European COST Action IC1305: Network for sustainable Ultrascale computing (NESUS).